Few could have guessed that the league's return would become so bloody, bitter and, most of all, emblematic of how power in the NFL truly works. n West Pico Boulevard in Los Angeles, an overgrown tree obscures a whitewashed, two-story building sandwiched between a radio station and a studio lot. Inside, it's a time warp. The battered carpet is blue, and the rippled wallpaper is bubbling, peeling off. Behind glass is a showcase of dull trophies and yellowed photos from another era. Everything is labeled "Los Angeles Rams." That team, of course, left LA, its home for nearly half a century, for St. Louis after the 1994 season. But on most days since, this nondescript office has remained open, staffed by two people: John Shaw, the former team president who engineered the franchise's flight from Anaheim to St. Louis, and his secretary. They work in this nearly invisible team outpost, as if the Rams never left. One NFL owner called the meeting a "s--- show." A "nightmare," another said. Yet another described it as "the most contentious and polarizing" in decades. On Dec. 2 at the Four Seasons in Irving, Texas, the owners-only meeting had a single agenda item: Which team or teams should be allowed to relocate to Los Angeles? The inability of America's most popular sport to occupy the nation's second-largest market since the Rams and Raiders left after the 1994 season had become a running joke. 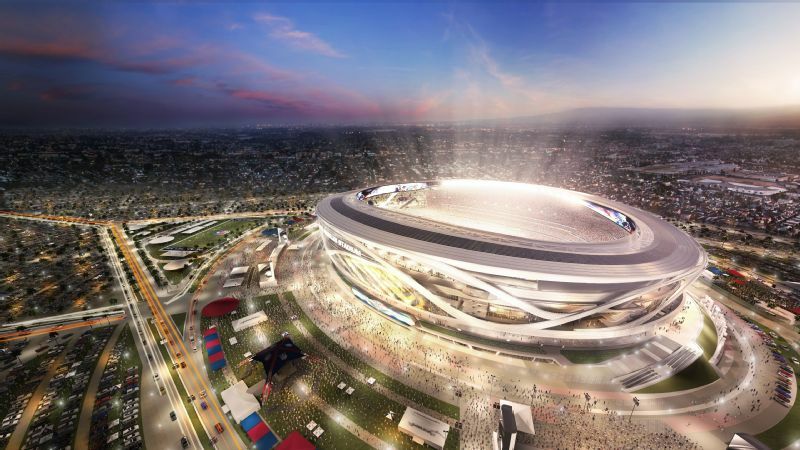 In the past two decades, at least 20 Los Angeles stadium proposals had been designed and junked. An expansion team had been awarded to LA in 1999 but then, mired in red tape, sent to Houston to become the Texans. Many clubs had used the threat of moving to Los Angeles as leverage to build new, publicly financed stadiums. But now, the idea of at least one franchise relocating to LA wasn't just a fanciful notion. It was real. 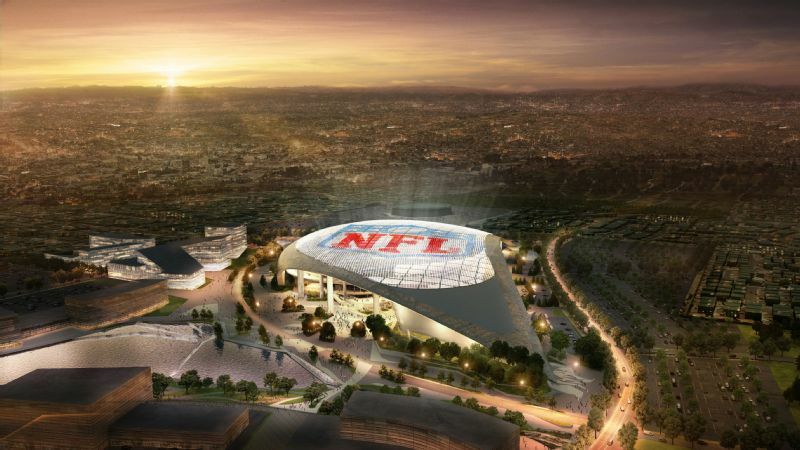 One proposal was for Stan Kroenke, owner of the St. Louis Rams, to build the world's most expensive stadium, a $2.7 billion, 80,000-seat roofed venue in Inglewood, just east of Los Angeles International Airport. The other proposal was for the San Diego Chargers and Oakland Raiders, owned by Dean Spanos and Mark Davis, to share a $1.8 billion, 65,000-seat open-air stadium in Carson, a city about 12 miles south of Los Angeles. Most owners meetings are boring. Some members doze. Groupthink often prevails. Not this time. For hours, the owners argued and traded barbs. New York Jets owner Woody Johnson spoke in support of Kroenke four times, to the annoyance of others waiting to be heard just once. Miami Dolphins owner Stephen Ross joked that the league should hold an auction for the right to relocate, though some owners thought he was serious. Carolina Panthers owner Jerry Richardson argued that Spanos, a beloved owner who for more than a decade had tried to build a new stadium in San Diego, deserved the market. Others insisted that Kroenke had the land and the money not just to build a spectacular football venue rivaling Cowboys owner Jerry Jones' AT&T Stadium in Arlington, Texas, but to return to Los Angeles with a transcendent "football campus," as an owner later put it, with a shopping mall, movie theater, office complex and luxury apartments. The project, to be mostly paid in full by Kroenke, had the "wow factor," Jones liked to say. Jones cut him off: "When you guys moved the team from St. Louis to Phoenix -- it wasn't about the money?" As Bidwill tried to answer, Jones moved in for the kill: "You did it for the money." TWO YEARS EARLIER, on Aug. 27, 2013, Kroenke and Spanos met for a private dinner at Mastro's Steakhouse in Beverly Hills. At a corner table, the two talked cordially -- a quiet beginning to a 29-month saga that would end on Jan. 12 of this year in a Houston hotel. Back then, neither man could have guessed that the league's return to Los Angeles would become so bloody, bitter and, most of all, emblematic of how power in the NFL truly works. In contentious closed-door meetings in Los Angeles, Chicago, Dallas, New York and, finally, Houston, owners belittled, undercut -- even bullied -- each other in ways never before witnessed, according to interviews with more than two dozen owners, league officials, team executives, lawyers and staffers involved in the relocation efforts, many of whom requested anonymity due to the sensitivity of the negotiations. The split between owners had as much to do with personal loyalties as it did the appeal of the two stadium proposals. The ruthlessness of Kroenke was fixed in sharp relief against the abidance of Spanos. The savvy of Jones, who led the new-money Inglewood supporters, clashed with the brute force of Richardson, leader of the old-money Carson backers. Bob Iger, chairman and CEO of The Walt Disney Company -- which owns ESPN -- was enlisted to run the Carson project, with the hope that his star power could offset Kroenke's money. It wasn't enough. In the end, no owner would feel more pain than Spanos, the league loyalist who did everything his peers asked of him -- only to be forced to work out a face-saving partnership with the man who had beaten him to LA, a process that likely won't be resolved until 2017. Spanos and Kroenke had long targeted Los Angeles as the best, most attractive option for relocation of their respective teams. Their peers viewed them as being on opposite sides of the ownership spectrum. Now 68 years old, Kroenke -- tall and thin with a thick mustache -- was a largely quiet partner who rarely attended owners meetings and had little patience for the league's glacial-paced relocation process. He has made much of his estimated net worth of $7.6 billion in real estate and bought several sports teams, including the Avalanche and the Nuggets. After his 2011 majority stake purchase of the English Premier League team Arsenal, Kroenke had pined for the larger international presence that other owners envisioned for the NFL's global future. With thinning brown hair and rimmed glasses, Spanos was deeply involved in league matters, "loyal to a fault," in the words of a close friend. Now 65, he ran the team owned by his 92-year-old father, Alex Spanos. The NFL was his primary business, even if many owners wondered whether he possessed the sharp elbows of his father. At Mastro's, the two men met to determine whether they might have a shared vision for Los Angeles. Kroenke was enthusiastic about a 60-acre tract of land in Inglewood, nestled between the Forum and the soon-to-be-closed Hollywood Park racetrack. 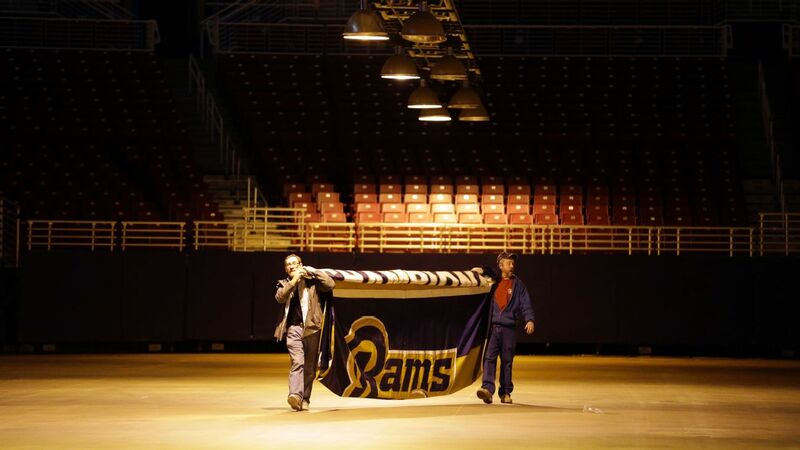 Earlier in the year, Kroenke had driven around the site at 5:30 a.m. and raved about its potential to Rams chief operating officer Kevin Demoff and to Jones. Spanos, though, was cool on the Inglewood location, citing concerns about parking and traffic. Still, both men, and their associates, saw the convivial dinner as a promising first step toward a potential partnership. They agreed to be in touch. But after the dinner, Spanos called Kroenke several times. Kroenke never returned any of the calls. Stan Kroenke would not be stopped. NOBODY KNEW IT at the time, but the league office had already lost control of the Los Angeles relocation process. Commissioner Roger Goodell's mishandling of the Ray Rice domestic violence discipline in the summer and autumn of 2014 distracted him from executing the league's longtime goal of returning to LA and severely weakened his standing in ownership circles. Meetings about LA that were scheduled for September were pushed to November. The distractions also created a power vacuum that Grubman -- and other owners -- eagerly filled. Spanos reacted to Kroenke's Inglewood purchase by proposing to buy a 168-acre landfill lot in Carson. He and his team had designed a creative development method, based on a landmark California Supreme Court decision a few months earlier, that would expedite the arduous process of entitling a stadium to a city council vote, overcoming legal hurdles that often take years to clear. At a meeting in Los Angeles in mid-November 2014, the Chargers leaders presented their plan to Grubman, who some owners and executives suspected favored Kroenke and Inglewood. Both proposals were rolling forward. And then, all of a sudden, they weren't. Later in November, several owners who would serve on the league's LA committee told Kroenke no team would be moving for the 2015 season -- owing, in part, to Goodell's weakened leadership. In mid-December, on the eve of an important Carson City Council stadium meeting, Art Rooney II of the Steelers delivered the same message to Spanos, telling him to "stand down." Spanos complied. But Kroenke, who was well-versed in relocation politics after he had helped move the Rams to St. Louis as a minority owner after the 1994 season, told a few owners that he would play one more season in St. Louis but would exercise his right to relocate in 2015 -- "when the window is open," he told associates. Some took Kroenke's declaration as a veiled threat to sue if anyone tried to block him; others understood that he had paid a fortune for the land and wanted to move forward. Jerry Jones, who once played himself on an episode of Entourage brokering the NFL's return to LA, implored Kroenke to "just go" and not wait for the league's sluggish bureaucracy. And so on Jan. 5, 2015, Kroenke unveiled plans to build his Inglewood stadium, all but announcing a move to Los Angeles. Spanos and his associates not only were furious that Kroenke had beaten them out of the gate but were also deeply suspicious of Kroenke's plan to fast-track the entitlement process. It was the exact process they'd presented to Grubman. The Chargers suspected that Grubman had alerted the Rams to it; the Rams insisted that their own California-based development company knew about it. Either way, it didn't matter. Carson was behind. STAY IN THE GAME. If we're not in the game, we get nothing. Stay in the game. That's what the Chargers executives kept telling each other. Kroenke had land, money and, most of all, the shrewdness required to relocate. He was willing to sacrifice his relationship with Rams fans and with the state in which he was raised -- something that Spanos, for all of his fights with San Diego politicians, seemed reluctant to do. Spanos needed help. So Richardson suggested that he partner with Mark Davis on the Carson project. For years, the Chargers and Raiders, both of whom play in baseball venues built in the 1960s, had failed to persuade their communities to help offset the costs of new football-only stadiums. If two teams moved together, Richardson said, it would help solve the league's "California dilemma," as owners called it. Most owners liked the eccentric Davis, now 60, even if they knew him only as the quiet guy with the bowl cut who had pushed his father Al's wheelchair through hotel lobbies at league meetings. Still, many wondered whether Davis, who never had an official job with the Raiders until he assumed control of the team after his father's death in 2011, was up to the challenge of shepherding a stadium project alone. He had turned down many offers to partner with the 49ers at Levi's Stadium in Santa Clara, and for years, the Davis family had resisted offers to buy the team and move it south. During one such lunch meeting in 2010, two Los Angeles businessmen pitched a lowball offer to Al Davis, who started laughing. "F--- you," he told them. "Get the hell out of here." And he went back to eating his lunch. The stage was now set for a showdown. On Aug. 11, 2015, the league's owners convened at the Hyatt Regency, in a Chicago suburb, for a special LA meeting. For the first time, both sides presented their proposals. When you guys moved the team from St. Louis to Phoenix -- it wasn't about the money?" As Bidwill tried to answer, Jones moved in for the kill: "You did it for the money. The Carson team went first. During its presentation, Grubman paced in the back of the conference room, drinking coffee. The Rams contingent went next. Grubman moved to the front of the room and took a seat at the commissioner's table. The presenters showed off a model of their football oasis, and Mark Davis stared at it in awe. Saints owner Tom Benson posed the first question about Inglewood, asking why owners should defray the costs of the extra real estate developments -- up to $200 million in league loans available for new stadiums -- that would benefit only Kroenke. But before Kroenke and Demoff could say a word, Grubman jumped in to answer the question, explaining that Benson misunderstood the amount of money the league would contribute. The pro-Carson owners couldn't believe that a league official appeared to be speaking on behalf of the Rams' proposal. That moment, along with persistent rumors that Grubman wanted to work for Kroenke in Los Angeles, cemented in the minds of some owners that he was an agent for Inglewood. Later in the meeting, Bears chairman George McCaskey asked whether Kroenke would be willing to share the stadium with a second team. Kroenke reminded the owners of a 2012 memo from Goodell that mandated that any LA stadium be built to house two teams. Kroenke said he could quickly draw up a lease if necessary. Some of the owners on the NFL's six-person Committee on Los Angeles Opportunities -- Richardson, Rooney, John Mara of the Giants, Robert Kraft of the Patriots, Clark Hunt of the Chiefs and Bob McNair of the Texans, most of whom were considered the old guard and supported Carson -- were offended. Spanos' family had always put the league first, and now Kroenke had declared that if it were necessary to take on a second team, the Chargers would be relegated to a tenant, junior-partner status. Kroenke considered his invitation to be sincere. He had extended a hand as far as he could, given the agreement between Spanos and Davis for Carson. Before the meeting ended, Jones, as would be his habit, took control. He delivered a rollicking, profanity-laced eight-minute endorsement of Kroenke's monumental vision, saying in his Arkansas drawl that whichever owner returned to Los Angeles, he needed to have "big balls." It was awkward and hilarious. Everyone, including Kroenke, tried not to laugh. But it was also a welcomed sentiment for the new-money owners such as Dan Snyder of the Redskins and Jeffrey Lurie of the Eagles, who backed Inglewood. "If you want to do it right," Jones continued, "you have to step up." With a final vote scheduled for Jan. 12, 2016, in Houston, only five months away, the Carson supporters knew they were in trouble. Making matters worse, Spanos and Davis had argued with each other about Carson earlier that day in front of other owners. Still, Jones sensed Spanos had enough support to prevent Kroenke from going to Los Angeles alone. After the meeting, Jones approached Spanos on the tarmac where a handful of owners had parked their planes. "I want you in LA with Stan," Jones told Spanos. Spanos was noncommittal. He had no interest in partnering with Kroenke. Meanwhile, a few old-guard owners had another idea to help their friend. If Carson was going to succeed, the project needed a star. Will be part of a mixed-use development complex, including a 6,000-seat performance venue, a 300-room hotel, 890,000 square feet of retail space, 2,500 residential units, 25 acres of parks and space for the NFL Network. SHORTLY BEFORE THE Chicago meetings, Bob Iger received a call from Jerry Richardson. The Panthers' owner wanted to meet the Disney CEO, but Richardson didn't identify the topic -- only that the sit-down should be conducted under strict secrecy. An Iger confidant suggested that Richardson was inquiring about his interest in perhaps replacing the wounded Goodell, but Iger suspected otherwise. After all, a year earlier both Goodell and Kraft had asked Iger whether he'd be interested in getting involved in a team that could move to LA, tapping into his local expertise and gravitas. The topic came up again in April when Iger ran into Mark Davis at a Clippers game, a meeting that led to a few discussions about Iger buying a share of the Raiders. And so when Iger and Richardson met on Aug. 5 for two hours in Iger's office in Burbank, Richardson asked Iger about the market. One team or two? Carson or Inglewood? They agreed to stay in touch. Over the next few days, Iger researched the Carson site online, noting its proximity to a cross-section of freeways. Richardson and Iger met two more times, talked often on the phone and traded email. Iger liked the fact that Carson would be an open-air stadium, unlike the roofed one Kroenke wanted to build. He also preferred parking lots rather than the garages proposed at Inglewood that would limit tailgating and make game-day traffic a mess. "This is great," Iger told Richardson. It was exactly what Richardson wanted to hear. So he asked whether Iger would be willing to talk with Spanos and Davis about it. In early October, Iger met with Spanos at the Shutters hotel in Santa Monica. A month later, Disney's board of directors approved Iger's involvement. On Nov. 11, it was announced that Iger had become the nonexecutive chairman of Carson Holdings, the joint venture between the Chargers and Raiders, with an option to become a minority owner of one of the franchises after the stadium was completed. Goodell, who privately preferred the Inglewood site but had pledged to remain neutral, told a friend that Iger's involvement was a potential "game changer" for Carson. Having helped negotiate billions of dollars of rights contracts with the NFL, Iger and some of the owners were acquaintances. He knew how the league worked. Many owners who had considered Kroenke to be a Los Angeles lock worried that now he might lose. Alex Spanos, Dean Spanos and family, Chargers owners, net worth $1.689 billion, and Raiders owner Mark Davis, net worth $500 million. Disney chairman and CEO Bob Iger, who oversaw the project. 850,000 square feet for commercial, entertainment and other uses, a farmers market and a 350-room hotel. OWNERS AND EXECUTIVES say the following weeks were among the wildest they had seen. They called and texted each other daily with sales pitches, demands and gossip. Almost nothing was out of bounds. Some Carson supporters weighed ways to try to jam up Kroenke, such as forcing him to pay the entire $550 million relocation fee up front while giving Spanos and Davis a payment plan. Undecided owners considered the price of their vote, whether it was changing their division and conference alignment, horse-trading a vote for a promise of future support for an ownership succession plan or a new stadium of their own. Others were convinced that some owners didn't even know where Carson and Inglewood were located. "Owners were all over the place," one team executive says. By most estimates, Carson had managed to cobble together 18 votes, shy of the 24 required for relocation. The Rams moving alone to Inglewood had only about seven votes. Many owners thought Kroenke was hell-bent on trying to reach nine, just enough to prevent the Carson project from reaching 24 votes and keeping him in the game. The silent majority preferred the Inglewood site but liked Spanos better than Kroenke. Most owners wanted to avoid a Raiders return to Los Angeles, owing to Al Davis' burned bridges and the co-opting of the team apparel by gangs, concerns so deep that some wouldn't even consider Carson. "It's hard to get owners to move," Iger says now. "Each one is a boss in his own right." And so the battle for Los Angeles became a battle between Richardson and Jones, two Jerrys with dueling powers of persuasion. Jones mostly worked the phones, trying to broker a partnership for the Rams and Chargers in Inglewood. On Nov. 27, Kroenke wrote a letter pledging to allow a partner, though it would not extend to the stadium's design or the surrounding development. It was a major concession, encouraged by Jones after calculating that Kroenke likely wasn't going to get 24 votes on his own. Spanos and Davis still refused to consider it, but Jones continued to push for support, convinced that the membership silently preferred it. Richardson flew his private plane to visit several owners. Everyone around the league called it the Jerry Tour. He insisted that Carson was the better site and that the league not only would regret leaving St. Louis for a second time but would set an awful precedent by turning away the estimated $477 million in public funds for a new stadium that the state of Missouri was poised to offer. At times, Richardson's hard-charging style, delivered with a threatening tone and citing favors he had done for them, offended some owners. "He bullied people," a team executive says. "Some were turned off by his forcefulness." It was clear that the owners were playing by their own rules -- and, as a league insider working with all three teams later said, "They make up the rules as they go." A news report said that the league would pledge an extra $100 million to help St. Louis finance a new $1.1 billion riverfront stadium -- a move that McNair, the Texans' owner and a Carson supporter, predicted would prevent the Rams from meeting the league's relocation guidelines. But days later, Goodell wrote a letter saying that the $100 million would not be available. And the night before St. Louis voted on the stadium package, Grubman called in to the show of local radio host Bernie Miklasz to describe St. Louis' new stadium proposal as "suboptimal" and say that Kroenke was "going to keep his options open." It seemed to validate what many had long suspected: He wanted the Rams to move. It was chaos. The spectacle of NFL leaders undercutting St. Louis' attempt to keep the Rams, and the uncertainty in San Diego and Oakland, was becoming another public-relations disaster. Goodell privately expressed frustration about all three owners -- if they were elite, they wouldn't be trying to relocate in the first place, he told a friend -- but in the end, the commissioner supported their efforts to leave. A few days after all three teams filed for relocation, Goodell issued a 147-page report that called the efforts of all three markets to keep their respective teams "unsatisfactory and inadequate." It was an official green light for all of them to move, knowing that at least one team would be forced to crawl back home. Soon news broke that Kroenke would build a stadium in Inglewood no matter how the owners voted, a charge the mayor of Inglewood denied but some around the league believed to be true. Many Kroenke supporters were furious that he would risk alienating owners so close to a vote. "There it is," said one executive of a pro-Inglewood team. "A big middle finger to the league." All three teams privately vowed to abide by the membership's vote, and each of the three owners had to sign an agreement pledging not to sue if his relocation proposal was rejected. But by then the LA derby had become an open war, beyond anyone's control. Before a late-season AFC game, two owners met in a luxury box and wondered how the LA vote would turn out in Houston. "I don't know," one owner told the other. "Stan is more interested in blocking Dean than he is in finding 24 votes." PROGNOSTICATIONS DEPENDED ON which Houston restaurant you happened to be having dinner at on Jan. 11, the night before the final meeting. Those at Vallone's steakhouse across the street from the Westin hotel, the venue for the owners meeting, mostly predicted the Rams and Chargers would end up in Inglewood. Those at a private room at Eddie V's Prime Seafood felt certain Carson would prevail. If Iger could assuage the antipathy toward the Raiders and get 20 votes, and if the LA committee voted for Carson, the rest of the votes would fall in line -- or, worst case, a final vote would be delayed until the Super Bowl. At 10 p.m., the Chargers and Raiders received a curious email from league officials: a proposal for one of the two teams to share Inglewood with the Rams. It was a modified version of a resolution Jones had submitted the previous weekend, calling for the Rams and Chargers to share Inglewood. Spanos and his associates were offended. The eleventh-hour email suggested that before the owners voted, the league was laying the groundwork for its own solution. At 9 the next morning, 32 owners -- or, in a handful of cases, their representatives -- entered the Azalea Ballroom on the Westin's fourth floor. Each person settled into a large leather chair for a session that league officials had warned could take two days, though the owners nearly all hoped to get out of town that evening and pocket their share of the relocation fees, $17.7 million or $35.5 million, depending on whether one or two teams moved. The Rams won a coin flip and presented first. Over 35 minutes, Demoff offered details about how a potential partnership would work, showing how the stadium would use digitized screens to show the logos, sponsors and Ring of Fame for either team, solving the dual-branding problem. It was a big reversal for Kroenke, but many owners found it to be sincere and attractive and, most of all, exactly what they wanted to hear. On behalf of Carson, Iger went next. He tried to "break the ice," he says now, with a joke about how in his 42 years at ABC and Disney, he had paid more money to the NFL than anyone else. The quip was met with blank stares. For about 20 minutes, Iger spoke with a slideshow behind him, then ended with another prepared line, a spin-off of the famous commercial of the Super Bowl MVP shouting, "I'm going to Disney World!" "I hope I'm going to the NFL!" Iger said. Again, silence. After Iger left the ballroom and returned to his suite, Jones said, "He said he paid us. Last time I checked, that money is coming from Disney shareholders, not him." The message was unmistakable: NFL owners listen only to each other. The owners first voted on whether to opt for a secret ballot, a rarely used method some owners had quietly requested back in August. It won, 19-13. Then the owners moved to a debate period. Paul Allen of the Seahawks opened the discussion by asking everyone to forget about the teams and the personalities involved and ask, What's the best site? Let's work backward from there. One owner then reminded everyone that Carson "is literally a dump." Still, the Los Angeles committee recommended Carson by a 5-1 vote, with only Hunt dissenting. A committee vote is usually a reliable predictor of the full ownership's vote. And so, during a lunch break, some owners were so certain that Carson would win that they checked out of their rooms. Luggage embroidered with team logos filled the Westin's lobby. Two rows of black SUVs idled outside the hotel, ready to go to a nearby private airport. Initially, four resolutions were going to be considered for a vote. But Steve Bisciotti, the Ravens' owner, argued that the proposals conflicted with one another. And so the owners agreed to consider only two: the Rams-Chargers to Inglewood and Chargers-Raiders in Carson, pitting a version of Jerry Jones' proposal against Carson. When the first secret ballot for relocation was tallied, the Rams-Chargers in Inglewood won by a whopping 21-11 vote. The Carson team was stunned. It was all but over. The membership essentially had ordered Spanos to work out a deal with Kroenke, leaving him little leverage: become a tenant, try to negotiate the terms of a broader Inglewood partnership or return to San Diego hat in hand. Goodell, Grubman, the Los Angeles committee owners and members from the Carson team huddled in a private meeting area to hammer out a resolution. The mood was somber. Kraft, Hunt, McNair and Mara led the negotiations; Goodell mostly listened. Rooney and Richardson were quiet, even "despondent," one meeting participant says, angry on Spanos' behalf and frustrated that their recommendation was ignored. "These are proud people," the participant says. "It was a slap in their faces." Roughly four hours later, the league announced that the owners, by a vote of 30-2, had approved the Rams for immediate relocation to Inglewood, with the Chargers having a yearlong option to join them. If the Chargers didn't exercise the option, the Raiders would have a year to join the Rams in Inglewood. The Chargers and Raiders would receive $100 million extra from the league to help defray the cost of a new stadium if they remained in their current markets. Shortly after, Goodell, Kroenke, Spanos, Davis and a few others held a news conference. Kroenke and Spanos stood apart from each other. Nobody looked happy. Goodell spoke first. When he announced that the Rams had won the right to relocate, Spanos closed his eyes and breathed deeply and loudly, as if preparing to speak at a funeral. When Goodell said that the Chargers had the option to join the Rams, Spanos closed his eyes and sighed again. Calling the relocation "a painful process," Goodell acknowledged excitement but also disappointment that "we weren't able to get it done for our fans in St. Louis, San Diego and Oakland." Spanos read a short statement that he would continue to explore his options and took questions. "This has really been excruciating for everyone," said Spanos, who left the room shortly after as Kroenke was speaking. A historic moment, two decades in the making, signaled stark bitterness rather than elation. In the lobby of the Westin after the news conference, Jerry Jones exited an elevator, carrying a nearly empty glass of whiskey, looking both energized and relieved. Though he deeply believed that the vote reflected the league's best interest, Jones had engineered the defeat of one of the most beloved owners by one of the shrewdest. A few feet away at the hotel bar, some owners took turns consoling Spanos. He felt as if he'd been stabbed in the back. Someone suggested that he should pull a Kroenke and move to Carson anyway. Spanos didn't want to hear it. A few weeks later, Kroenke would announce that he had reached an agreement to partner with the Chargers in Inglewood. On the same day, Spanos said his team would stay in San Diego for the 2016 season, adding, "I hope for the long term in a new stadium." In a referendum this November, Spanos will ask San Diego voters to approve hundreds of millions in public money for a new stadium, a long shot. This gambit all but assures that the ugly process, and uncertainty hanging over two NFL cities in California with old stadiums, will continue at least another year. Jones, though, was unapologetically proud. He had helped at least double the Rams' franchise value, ranked at a league-low $930 million in 2014 by Forbes, and had given Spanos the chance to increase the value of the Chargers if he chose to move to Inglewood. The race for LA was always a race for money, and so it ended the only way it could. "Stan is a tremendous asset for the NFL," Jones said. "He's God-sent, really." A few hours later, at Vallone's steakhouse, Jones, Kroenke and a handful of associates held court. It was nearly 1 a.m., and they had an entire section of the restaurant to themselves. Kroenke's move, which in some ways began with a steak dinner with Spanos in 2013, was ending with another. 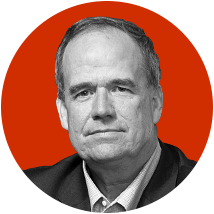 Every five minutes or so, Jones would stop the conversation, raise his glass and say, "The Los Angeles Rams," as if none of them could quite believe it. 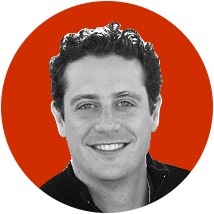 Don Van Natta Jr.Van Natta is a senior writer for ESPN Digital and Print Media. He can be reached via email at Don.VanNatta@espn.com and @DVNJr. In the owner's suite, on his private jet or among Dallas' beautiful people, JERRY JONES seems a happy man. But what he really wants, he cannot have. by Don Van Natta Jr.